April 2015 | MMA Fighting Events Videos Techniques UFC Fight Picks and News. UFC 186 isn’t exactly presenting a great fight card, most fans seem uninterested. It’s no surprise as it’s being headlined by flyweights Demetrious Johnson vs. Kyoji Horiguchi. 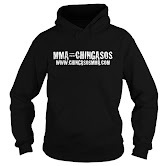 It’s not that they’re bad fighters, it’s just that they haven’t really captured the attention of the casual MMA fan. The flyweight division as a whole has lagged behind the other more exciting and stacked divisions in the UFC. Demetrius Johnson vs. Kyoji Horiguchi needs to be a great fight! If not, I don’t see the flyweight division rising out of the shadows. Let’s take a closer look at these fighters and then I’ll make my fight pick. Demetrius Johnson is coming into this title defense with an overall MMA record of 21-2. He’s finished three of his last four fights. Two of those via submission and on via KO. Johnson has a complete MMA toolbox, and has used it in 7 straight UFC wins. While the flyweight division is flying under the radar a bit, the recent fight finishes by Johnson is capturing some attention. He’s facing a tough Kyoji Horiguchi who has a propensity for finishing fights as well. Kyoji Horiguchi is coming into UFC 186 with an overall MMA record of 15-1. He’s shown impressive power in winning 9 of those fights via KO/TKO. Horiguchi is excellent with timing and distance and knows how to land finishing strikes! An exciting win over Johnson will put him on the map and make him a fan favorite. Look for a lot of speed and movement to be utilized by both fighters in this fight. At times, it might look like your watching the fight in fast forward. The key in this fight will be takedowns. Demetrius Johnson’s best chance at winning this fight is to get it to the ground. If Johnson fails to get the fight to the ground watch for Horiguchi to land the harder more devastating blows. Demetrius Johnson is a smart, tactical fighter who comes in with great game plans. I see him pulling out a decision win as he’ll find a way to stay away from Horiguchi’s power. But, while I am picking Johnson in a decision win, I wouldn’t be surprised If Horiguchi lands some power packed chingasos and possibly finishes Johnson.